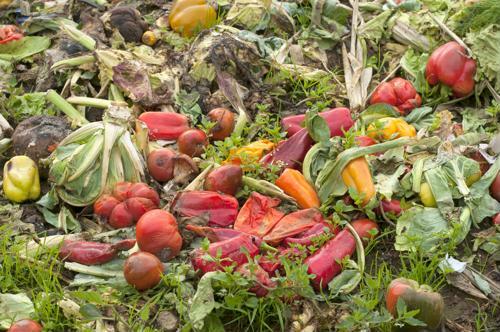 Food waste is anathema to grocers' and restaurateurs' supply chain. Whether due to poor storage methods, ordering larger amounts from suppliers than is necessary or misreading expiration dates, millions of tons worth of food winds up in trash bins and dumpsters year after year. However, thanks to state-of-the-art technology, more food may be preserved through more effective tracking methods, enabling the industry to make the most of the fruits, vegetables and other highly perishable food products that Americans eat on a day-to-day basis. "The rate at which food is thrown away could diminish between 5% and 7% by enhancing traceability." According to a new report from the World Economic Forum, by applying sensor-based technology to the food supply chain, the rate at which food is thrown away could diminish by between 5 percent and 7 percent. This is accomplished by enhancing traceability. In 2017, WEF led an initiative called "Innovation with a Purpose," which ultimately resulted in a report detailing about a dozen various technologies that have the potential to better sustain the world's food supply. By applying custom-designed sensors to food products for identification and tracking purposes, traceability gets enhanced. These sensors use GPS and other technologies that make it easier for suppliers and handlers to determine if items are truly unsafe to eat. As the Natural Resources Defense Council has found, perfectly edible foods wind up in trash receptacles due to poor labeling methods. Indeed, a 2013 study from NRDC and Harvard University found that as much as 90 percent of Americans may toss food items out unnecessarily. "[I]f these technologies could scale, they could reduce the environmental footprint of agriculture, support small-scale producers and support healthier and more nutritious food systems," the WEF report stated. In addition to benefiting end users of food products - such as restaurant owners and supermarket management - WEF believes sensors and other up and coming technologies could improve farmers' income by between 3 percent and 6 percent per year, while reducing food losses by as much as 5 percent.